“Fashion” is the leading ecommerce category in Brazil, comprising 33 percent of overall sales. 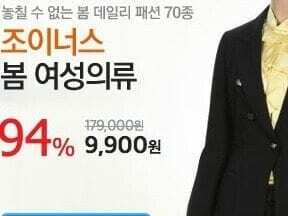 It is followed by “House and decoration” at 19 percent, and “Computing products” at 12 percent. Source: E-Commerce Brasil and Sebrae. An economic and political crisis has hit Brazil during the last few years. Because of rising unemployment and high inflation, Brazilian consumer consumption has greatly decreased. According to Brazil’s National Industry Confederation, a non-profit organization that represents Brazilian industry, 59 percent of Brazilians have experienced a loss in purchasing power, which is forcing consumers to adapt to a new economic situation. Consequently, the slowing economy in Brazil has affected overall growth projections of online sales in Latin America. According to eMarketer, retail sales growth in Latin America slipped from 5.5 percent in 2014 to 5.0 percent in 2016. On the other hand, it doesn’t mean that Brazilians have stopped buying completely. They are just more cautious. Before deciding to buy a product or a service, they are searching online for more information, comparing prices and features. Despite the crisis, ecommerce sales remain robust in Brazil. In the first quarter of 2016, revenue from ecommerce reached R$9.75 billion. (US$3.14 billion. The real — R$ — is the Brazilian currency. As of this writing, one real converted at roughly .3 U.S. dollars.) This represented roughly 106 million products. The average ticket size increased 7 percent, according to E-bit, a Brazilian research firm. On the other hand, it doesn’t mean that Brazilians have stopped buying completely. They are just more cautious. Approximately 39 million Brazilian consumers — out of a total population of roughly 200 million — purchased products and services online in 2015, according to Ebit, which also reported 2015 retail ecommerce revenue of R$41.3 billion (US$12.8 billion), representing 3.3 percent of total retail sales. An eMarketer forecast projects Brazil as the leader in Latin American ecommerce sales through 2019. The primary law regulating the purchase and goods and service online in Brazil is Decree nº 7962, approved in 2013. There is also the Consumer Protection Code, which applies to brick-and-mortar and ecommerce retail sales. Recently, the Senate approved an addition to the Consumer Protection Code to combat fraud and spam. This new proposal — it has not been signed into law by the president — requires additional disclosure to consumers about the ownership and location of a business. In addition, the proposal prohibits ecommerce stores from sending email promotions to people who haven’t opted in to the mailing. Correios is a state owned company in charge of Brazil’s postal services, covering almost all of delivering and shipping in the country. Because Correios has government support, it’s more difficult for other logistic companies to compete in this segment. Despite this, Correios has announced a critical financial problem and probably will need to borrow money this year to honor its commitments, including salaries of employees, orders, and supplies. 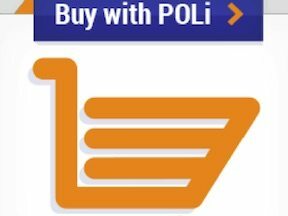 Selling to international consumers is drawing the attention of ecommerce retailers that are looking for alternatives during the crisis. 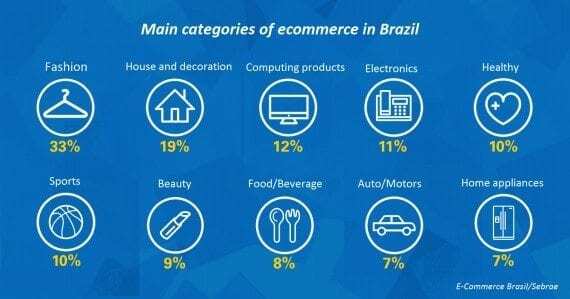 According to eMarketer, cross-border ecommerce sales in Brazil will grow by nearly 546 percent from R$2.6 billion (US$838 million) in 2013 to R$16.8 billion (US$5.20 billion) in 2018. PayPal commissioned The Nielson Company to conduct a study in 2014 called “Modern Spice Routes: the cultural impact of Cross Border Shopping (PDF).” According to the study, consumers from United States, China, Germany, United Kingdom and Australia spent R$1.5 billion (US$465 million) with Brazilian online stores. Even so, retailers in Brazil don’t typically understand the potential of foreign sales. Many will likely need foreign partners and providers to penetrate overseas markets. Brazilians are heavy users of smartphones and tablets. One-hundred percent of Brazilians are covered by cellular networks and 94 percent have 3G network coverage. Seven percent of all products currently purchased on the Internet in Brazil is via smartphones and tablets. By 2020, that percentage is projected to be 14 percent. Consumers in Brazil are increasingly comfortable when shopping via smartphone or tablet, especially with the rise of digital wallets. Nonetheless, Brazilian shoppers are still far more likely to buy from a desktop computer. eMarketer reported the mobile traffic percentage to ecommerce sites at 21 percent and 32 percent in 2014 and 2015, respectively. The desktop traffic percentage for those two years was 79 percent (2014) and 68 percent, again according to eMarketer. For the most part, Brazilian online retailers have not embraced mobile commerce and most do not offer a good customer experience on mobile devices. According to comScore, Brazilian shoppers spent 650 hours per month on social media in 2015, which is 60 percent higher than the global average. Facebook is the favorite in Brazil, with almost 60 million active users. 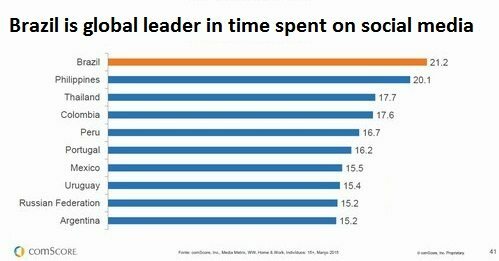 Moreover, Brazil leads the world in average time per visit on social media, at 21.2 minutes in 2015. Brazilians averaged 21.2 minutes per session on social media in 2015. This led the world. Philippine residents were second, at 20.1 minutes per session. Source: comScore. In short, Brazil has much ecommerce potential, as does Latin America generally. Brazilian shoppers are Internet savvy and the online stores there are improving. Many ecommerce retailers have not just survived the current crises. They have thrived.